PositiveSingles.com , the largest STD dating community has offered Hollywood Celebrity Charlie Sheen free lifetime membership of its website. The website has a staggering membership base of over a million users from across the globe, including 160,000 HIV positive individuals. On November 17, 2015, the 50 year old Hollywood actor revealed details of his HIV diagnosis on the Today Show. Sheen stated that he had found out about his STD status four years ago. He also confessed that he had paid over $10 million to various people who were threatening to leak his HIV diagnosis in the media. However, Sheen’s doctor has said that the actor’s viral load is too low to be diagnosed through a standard test. In other words, the virus is nearly invisible in his blood and he isn’t likely to spread the infection to anyone. 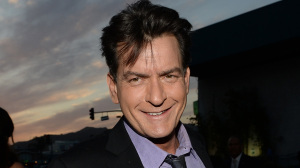 After facing severe criticism about his attitude towards co-stars and being in the news for drug and alcohol – abuse, Charlie Sheen was back in the news for his decision to reveal the details of his HIV condition on a public platform. While some people say that Sheen has been using this as an opportunity to gain sympathy, others have supported this move, saying it would encourage people living with HIV and other STDs to come out and seek professional assistance. It has been noticed that the stigma attached with sexually transmitted infections has forced to keep their STD status behind curtains. Experts believe this as a devastating trend as people who aren’t open about their STD status are more likely to spread the virus to another person. It is worth mentioning that Charlie Sheen had been associated with another dating site earlier. According to reports, Sheen has been a member of MillionaireMatch.com, a dedicated platform for wealthy singles and people who wish to date them. It remains to be seen if Charlie Sheen gracefully accepts this offer and encourage thousands of other people who are HIV positive.